Tiny Tips for Library Fun: Unprogramming, Part 2: What the Deuce Is It? Unprogramming, Part 2: What the Deuce Is It? 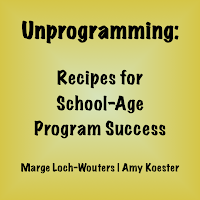 Amy Koester of Show Me Librarian and I are tag-teaming at our blogs this week to report out the Chicago ALA Conversation Starter -Unprogramming: Recipes for School Age Success - that we led on Monday July 2. Please read Part 1 here and join our continuing conversation in the comments or on Twitter by using the hashtag #unprogramming. So now that we've looked at the motivations and pitfalls inherent in doing programs for school age kids, let's explore what we mean by taking an "unprogramming approach" to these events. Often, when we create school-age programs, we spend alot of time and energy in planning. Three, four, five hours (and sometimes more) are poured into that one forty-five minute event. We search through websites, books and blogs for content; decide on many activities to engage kids (just in case they get restless); buy materials for them; add a food component and plan decorations to make it all perfect. The effort to plan the event increases stress- what if, after all this planning, only a few kids come or we planned too much and kids couldn’t finish or kids didn’t seem to enjoy themselves or it was so intensive to plan, staff needs to take a long break before doing another program just to recover? Unprogramming allows us to take a step back, take a deep breath, and put the event into perspective for us as planners and for the kids as well. Focus shifts from a rigorous schedule of planning “things, things and more things” to a more mellow approach. Unprogramming allows us to balance fun and content without over-planning an event. It celebrates books, characters and subject areas by linking literacy content to activities and crafts to create successful programs. Unprogramming engages kids in multiple ways. Hearing stories and/or book talks provides auditory enrichment. Seeing demonstrations, videos, or examples from books provides visual enrichment. Hands-on activities provide kinesthetic enrichment. Blending these threads together helps us create a unified whole. Unprogramming lets us, as staffers, relax and focus on how books (whether information books or fiction in the collection) can be celebrated through booktalks, activities and crafts. Interestingly enough, it also allows kids to help lead the way in the programming. Staff become guides to literature and “making” as opposed to the leaders of what goes on in the program. There’s a lot of self-discovery by the kids and self-paced learning. It celebrates literacy much like we do in our storytimes - great content and a real focus on books. 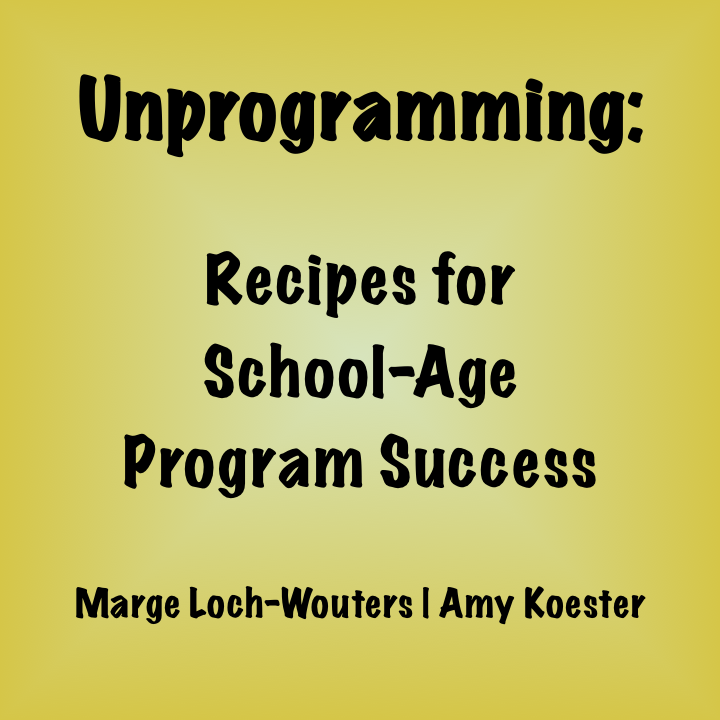 Tomorrow Amy will share how to unprogram at your library. Part 2 - Unprogramming - What the Deuce Is It? Yes, having a blog really helps to be able to share information outside the confines of conference! !